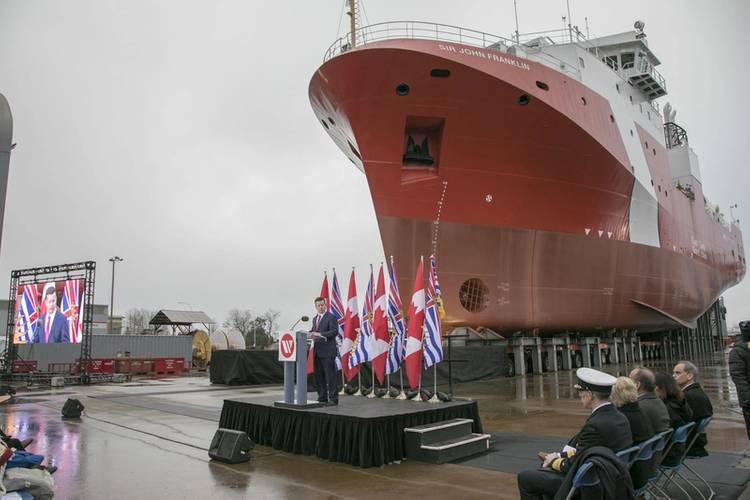 Seaspan Shipyards (Seaspan) has celebrated the launch of the first large vessel to be designed and built under the Government of Canada's National Shipbuilding Strategy (NSS) - OFSV1, the first of three Offshore Fisheries Science Vessels (OFSV). 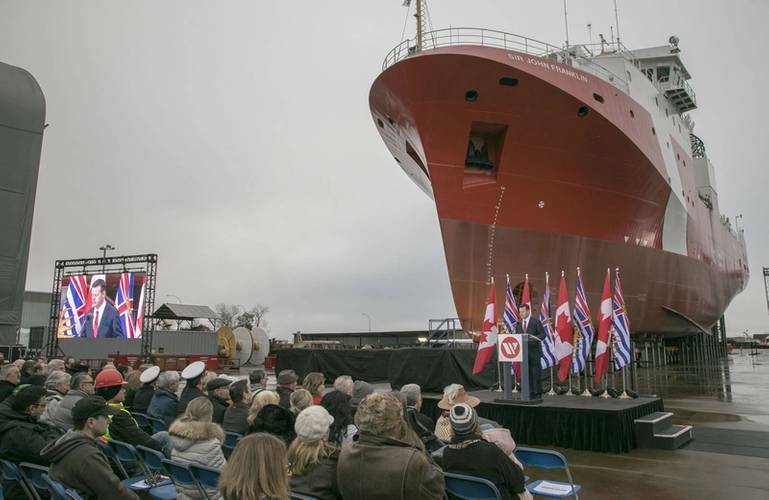 In 2011, the Government of Canada competitively selected Seaspan to be its Non-Combat Shipbuilder as part of the NSS program. 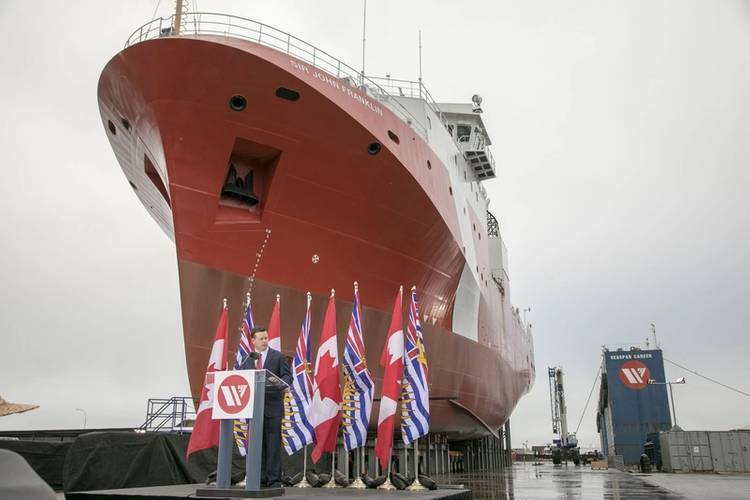 Under the NSS, Seaspan will build and deliver non-combat vessels at the company's state-of-the-art facility in North Vancouver for the Canadian Coast Guard (CCG) and Royal Canadian Navy. OFSV1 is the first large vessel to be designed, built and launched under the NSS. 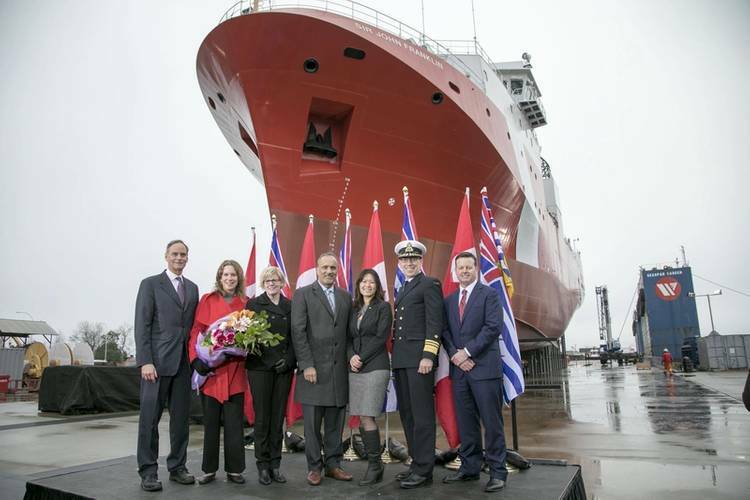 It represents an important milestone in Seaspan's long-term strategic relationship with the Government of Canada.